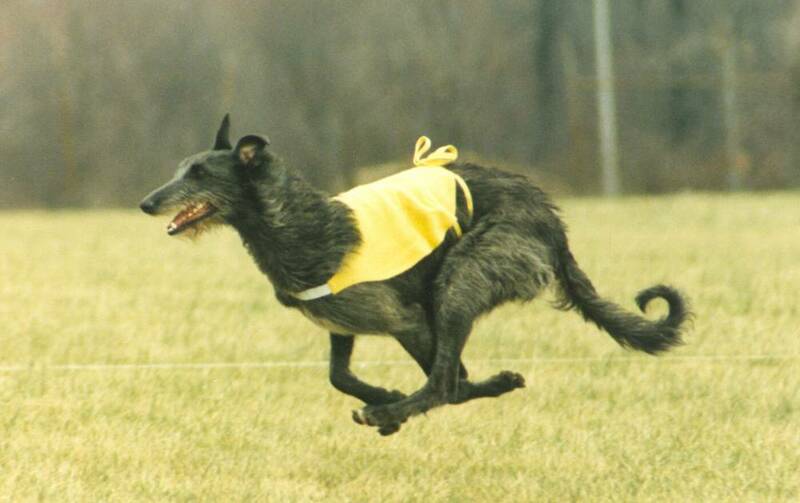 The Scottish Deerhound embodies blazing speed in a sturdily constructed frame, making it an able deer courser. The dogs skull is long and flat, and is widest between the ears. Ears are small and folded, and eyes are dark with an amiable expression. A silky moustache and beard adorn the muzzle. The neck and shoulders are powerful and well muscled, capable of holding a struggling stag without suffering injury. The chest is deep, the loin is arched, the hindquarters are wide and drooping, and the tail is long and tapering, with moderate curve. 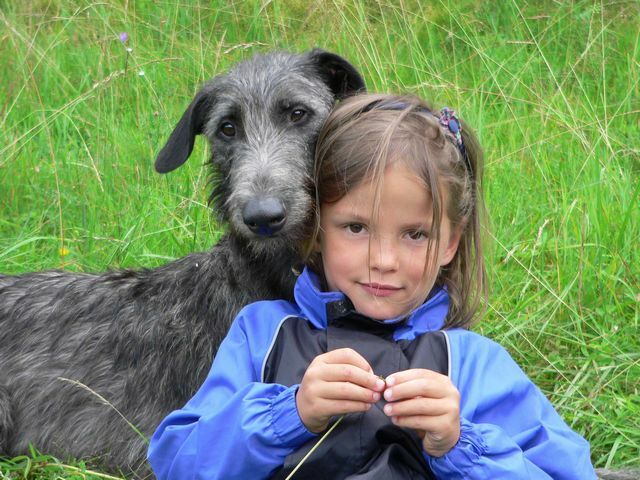 The Scottish Deerhounds coat is about four inches long, harsh and wiry on the body, legs and neck; the hair on the head, chest and belly is softer. The coat forms a mane around the neck. Coloring can be almost anything, with shades of dark blue, gray and brindle being the most common and preferred. 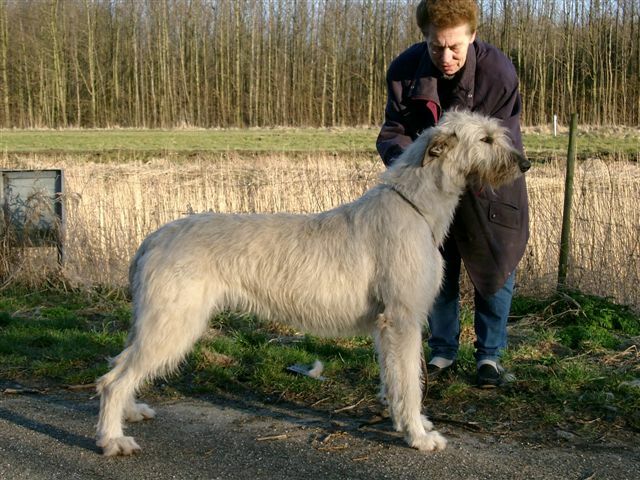 Height (Male) 30 - 32"
Common Misspellings Scottish Deer Hound, Scotish Deerhound, Scottish Derrhound or Scottesh Deerhound. Adult Deerhounds are pretty lethargic, and will spend most of the day lying about or sleeping if they are not made to go out and run. Once you get this dog outside, however, you will be amazed by its athletic double suspension gallop and its ability to chase down just about anything. Scottish Deerhounds get along well with other dogs, strangers, pets and children, but have an unignorable instinct to chase wild animals; be careful when hiking with a deerhound. The breed forms strong ties with its family, but may be stubborn and independent at times. 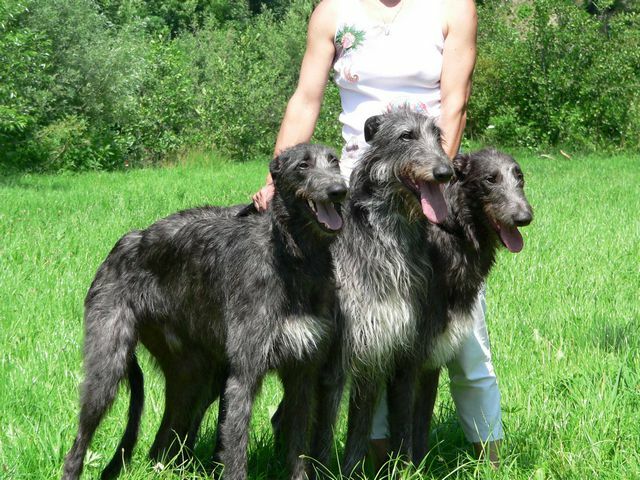 The Scottish Deerhound is a sensitive breed that does not respond well to harsh criticism. This dog has a definite proclivity toward laziness, and will often not remind you that it needs exercise the way other dogs will. Nevertheless, a walk, run or game every day is an absolute must. The Scottish Deerhound can live outside provided it has a soft place to stretch out and sleep, but indoor living is recommended. 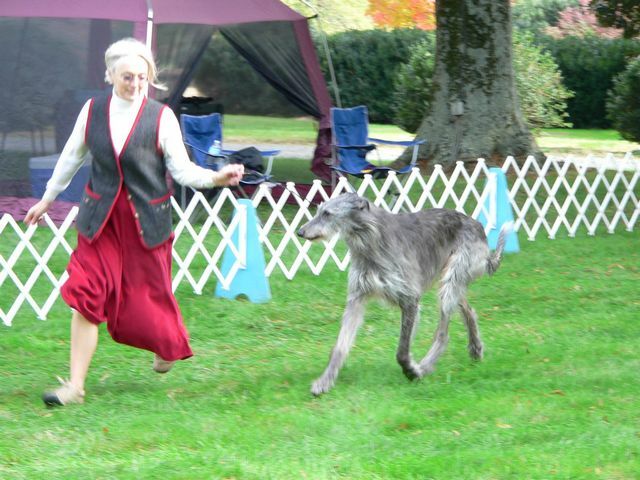 Keeping a deerhound in a house without a backyard is strongly discouraged. 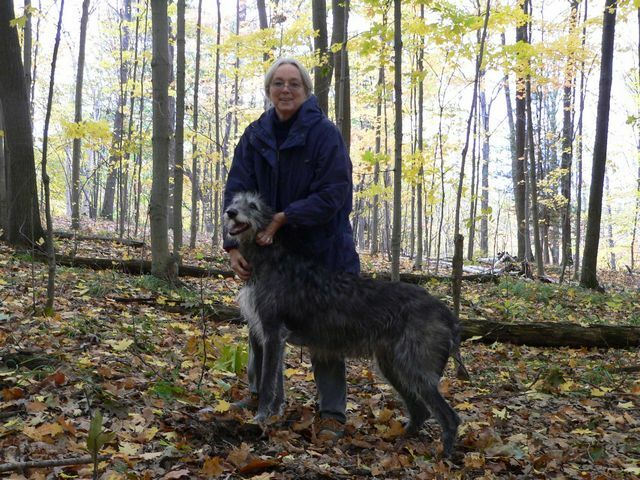 Brush your Deerhounds wire coat twice a week. Touch up trimming and stripping may also be required from time to time. 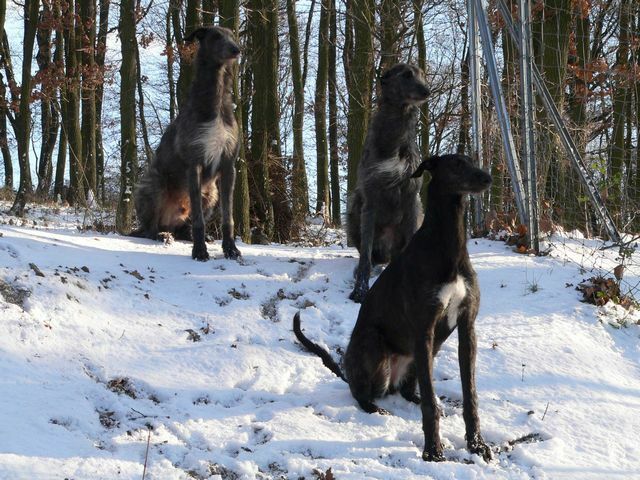 The most common health problems in Scottish Deerhounds are bloat (gastric torsion), osteosarcoma and cardiomyopathy. Allergies and cystinuria may also pose a problem. 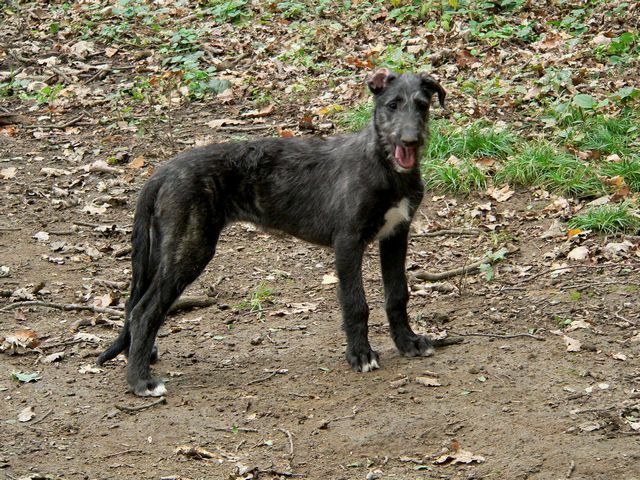 The Scottish Deerhound is known to have existed and been put to use in deer coursing by the 1500s; like the Greyhound, the Scottish Deerhound could only be owned by noblemen of the rank of Earl or higher during this time. Excessive hunting led to the stags virtual extinction in England and parts of Scotland by the 18th century, but the animal still prospered in the Scottish Highlands, and so too did the Scottish Deerhound for a while. 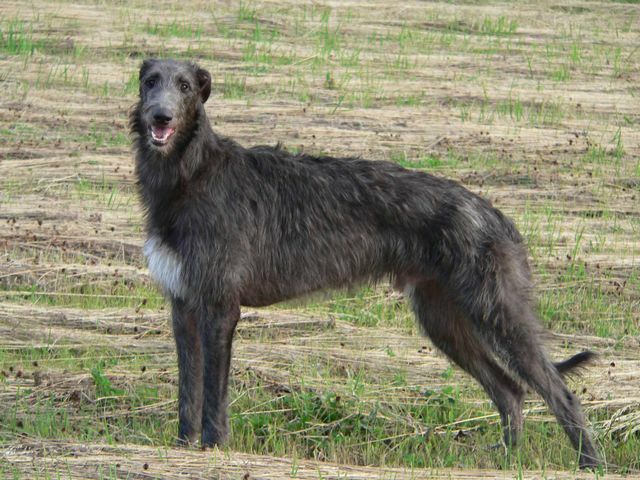 Geographic concentration and the development of better guns in the late 18th century had brought the number of Scottish Deerhounds to a perilously small number. In 1825 Duncan and Archibald McNeill began to resurrect the Deerhound through careful breeding, and by the 1860s the dog had been sufficiently restored to begin appearing in show rings in England. 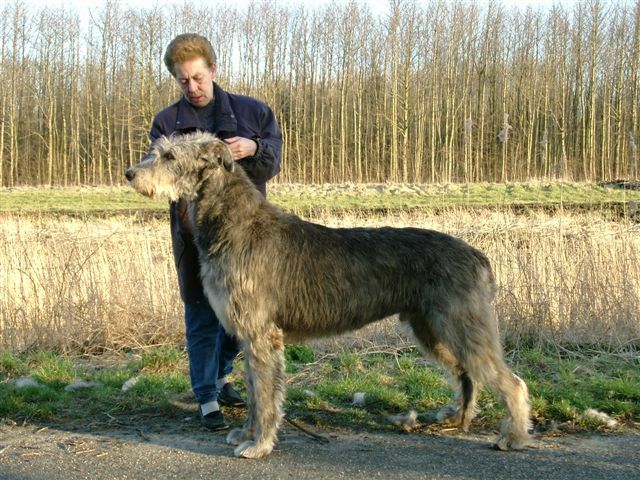 The Scottish Deerhound was recognized by the American Kennel Club in 1886. 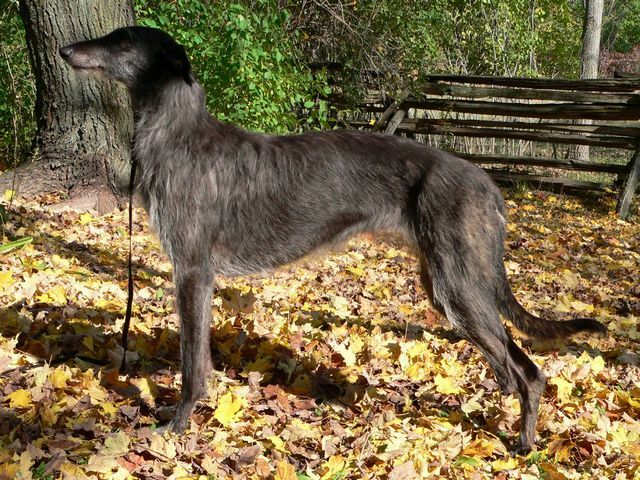 World War I caused another severe dip in the Deerhound population, and even today the breed remains sparse both in its native Scotland and abroad.